CINCINNATI Test Systems, represented by MPW Australia , provides mass spectrometer leak testing solution that complies with the quality, environmental and safety concerns in the manufacture of automotive gasoline tanks. Mass spectrometer testing not only verifies the integrity of final gasoline tank assemblies with all component subassemblies installed, but also provides effective leak tests to ensure that the tanks meet new fugitive emissions standards for hydra carbons. Leak test standards for fuel components are extremely stringent because of formulation changes in gasoline to meet the requirements of fuel injection engines and new emission standards. In addition, automobile manufacturers are converting materials from metal to lighter weight plastics. In order to meet these stricter emissions regulations, assemblies must be reliably tested for even smaller leaks. 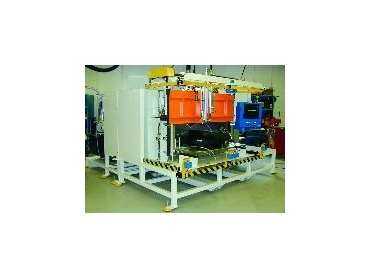 Cincinnati Test Systems provides helium mass spectrometer technology used within a vacuum chamber to test complete automotive gasoline tank assemblies. The charge pressure varies by component, based on each component's typical static and operating pressure. Gasoline tanks provide a unique challenge because of the low differential pressure the assembly can withstand during the testing process. The test stand must control the differential pressure to less than 1.5psi during the entire test process, which includes chamber pump-down, part charge and test and chamber vent. The entire test for the gasoline tank is completed in 50 to 60 seconds, depending on the tank and vacuum chamber size. A Cincinnati Test Systems leak test expert reviews each application to ensure customers receive an efficient yet economical solution utilising the best technology available for the application.